To some, purple represents the future, imagination and dreams while spiritually calming the emotions. No wonder then that after a mega exciting week (this is what happened if you missed it) I was drawn to the purple colour palette. 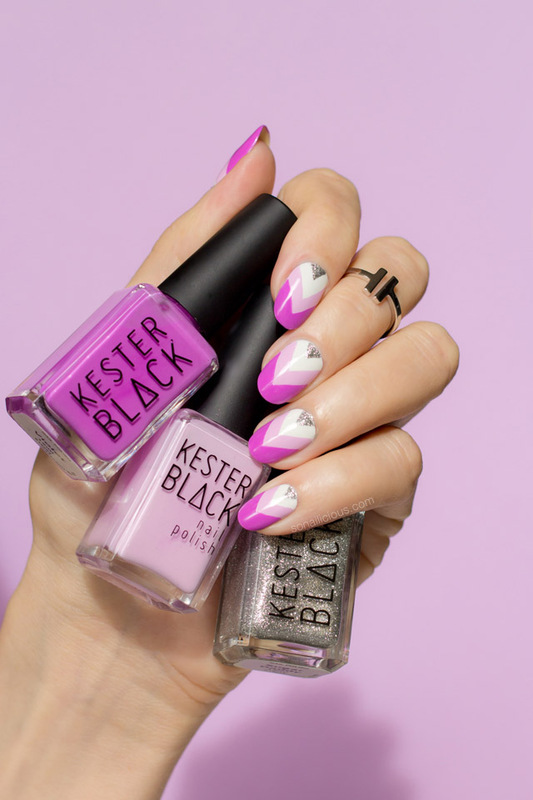 While completely purple nails may look very intense, the addition of pale pink and white make it appear more delicate and charming. And tiny silver details add a touch of luxury and transform a simple geo gradient into something much more elegant. 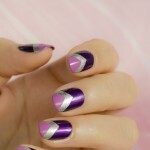 I was very pleased with how well this purple nail art turned out. Even more surprising is that this manicure was inspired by this shirt. I know right? Not much of a connection but sometimes you just need a seed of an idea for inspiration. Well, that’s where it started, although the final colours are completely different. I guess my craving for purple took over and I couldn’t be happier with this Purple Geo Gradient. 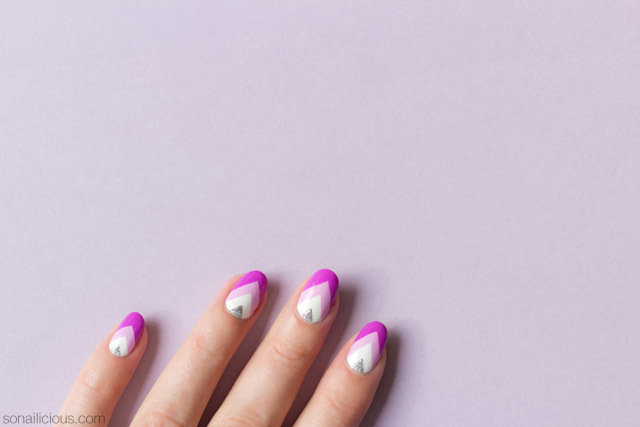 To get the look: paint 2 coats of opaque white base on all nails and then using mid-lengh liner nail art brush add different colour triangle shaped stripes, first -pink then purple. 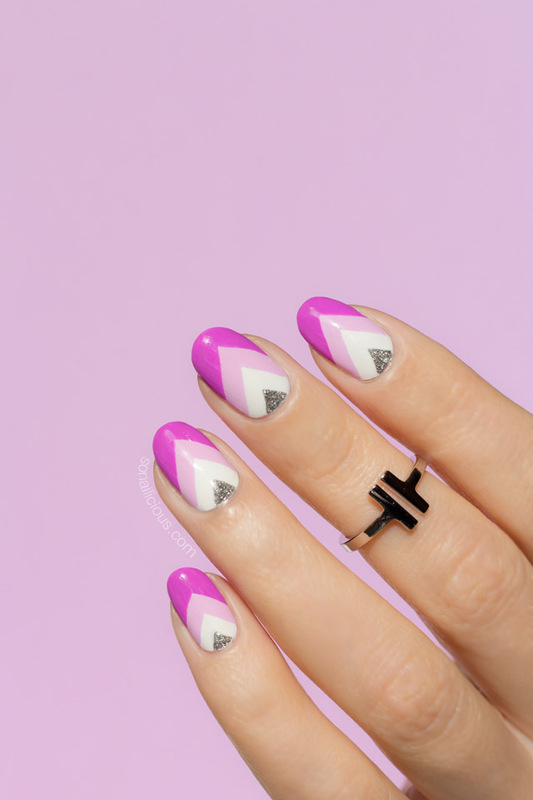 Finish by adding a small silver triangle detail at the base of your nails. 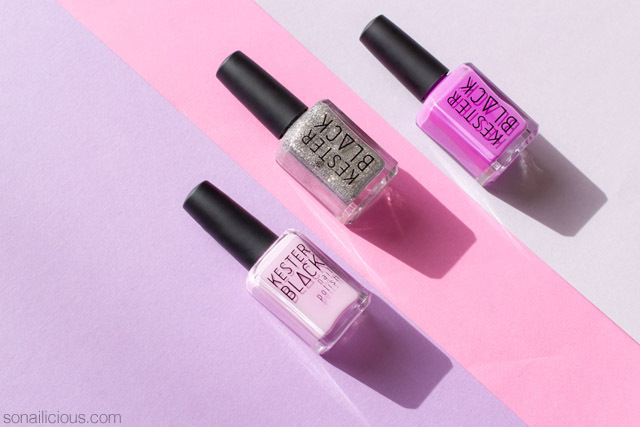 Seal it all a with a fast dry glossy top coat. 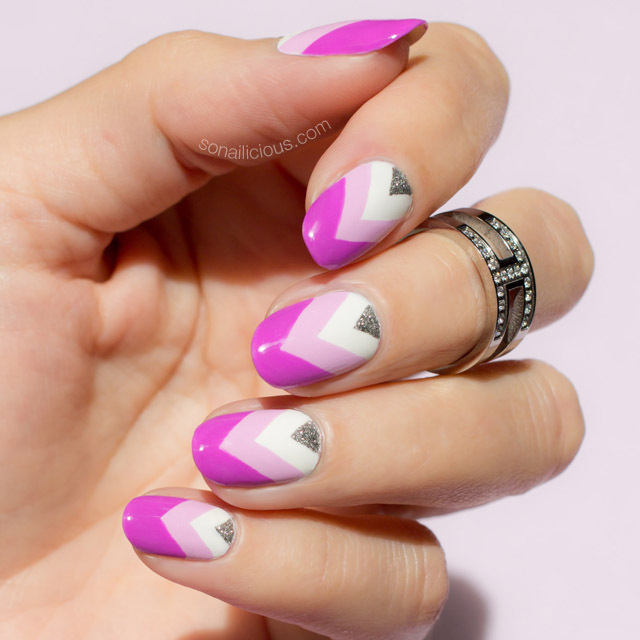 I did it all freehand using a striping nail art brush but if you’re looking for an easier way to do it – follow this Geo Gradient Nail Art Tutorial. Wearing: T-Bar Ring and Platinum Knuckle ring. 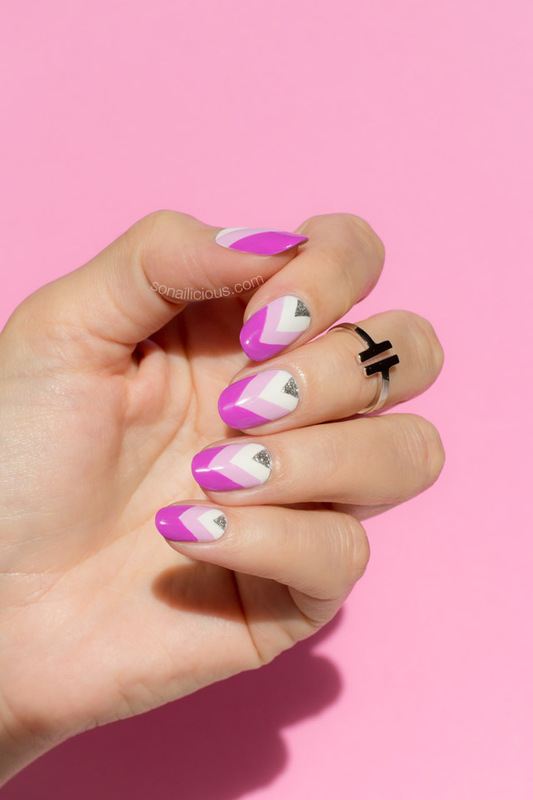 Are you a fan of Geo Gradient purple nail art? How do you like the colour combo?